Mother’s Day is supposed to be a happy celebration of life and dedication. For women who have been trying to conceive, however, the day can feel more like a smack in the face than a celebration. This year, turn those negative emotions into joy, expectation and hope, with a little Mother’s Day-to-Be celebration for you and your partner. Trying to conceive can be a full time job with medications, fertility tracking, fertility appointments, egg harvesting and more. Over time, your feelings of hope may turn into feelings of hopelessness, if all your work ends without conception. Take Mother’s Day for a spin this year and plan a romantic getaway just for the two of you. The stress relief may be just what you need to break the infertility cycle and come home a mom-to-be. Mother’s Day does not have to be a reminder of something you just cannot achieve – it can be a celebration of all the women who have helped you be the person you are today. Plan a breakfast date, lunch date or Mother’s Day photo session with a local photographer, and turn the negative feelings associated with Mother’s Day into positive feelings of celebration. There are mothers who never see the beauty of Mother’s Day because they are forgotten in nursing and retirement homes. While you may think Mother’s Day is the worst day on earth because you have been trying to conceive with no luck, just imagine how it must feel to be a mother who is forgotten every year. Grab a dozen roses or 10 dozen roses and head off to all the homes you can find. 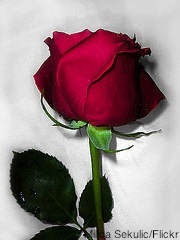 Give a rose to all the mothers who have dedicated their lives to their children. Mother’s Day can be difficult for women who have been trying to conceive or are struggling with infertility. The day is all about celebrating women – women who have kids, women who raise kids and women who play an important part in the life of kids, even if they have no children of their own. There are mothers all over the world who have no biological children and mothers in your neighborhood with no one to celebrate with. Take a fresh look at the holiday and celebrate something wonderful.